With the number of cars on British roads increasing all the time, mastering parallel parking is crucial. In areas around Greater London, where parking space is at a premium, it’s critical. If you have the good fortune to find a space in somewhere like Romford, Ilford or Dagenham, you need to be able to park quickly and accurately. Start In The Right Place This is critical – get it wrong and you might as well start from scratch.Drive past the space and draw up alongside the car at the front of it, leaving about a metre’s gap beside you and stop slightly in front of that car. Line up the front edge of that car’s bonnet with a point about halfway along your passenger-side front window. Move To The Turning Point Reverse slowly back towards the space in a straight line, watching the back of the other car through your back or side window. As a rough guide, wait until the rear end of the car you are beside is halfway along your passenger-side rear window.When the ends of the two cars are aligned, you can safely turn your steering wheel. Reversing Take one full turn on your steering wheel and slowly reverse. 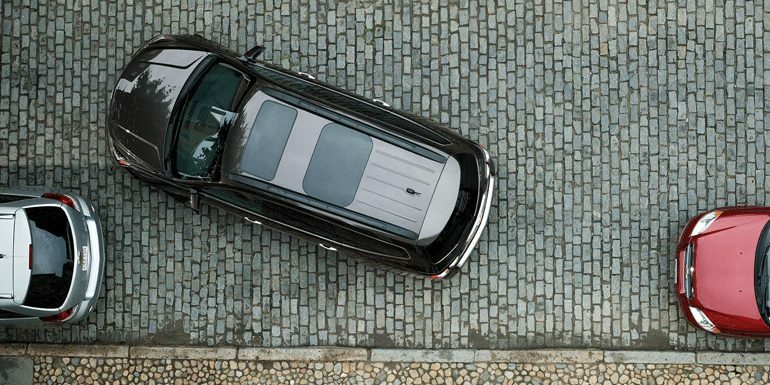 Adjust the angle until the middle of your rear window is aimed at the point where the edge of the car you are reversing towards would meet the kerb. Then straighten the wheel and reverse slowly back, using the passenger door mirror to watch your car as it gets closer to the kerb. Swing The Front In Just before your rear wheel touches the kerb, apply full lock in the other direction and continue to reverse slowly. This will bring the front of your car into the space.Watch the front of your car carefully, and if you can’t get it all in in one go, switch to full lock the other way, move forward as far as you can, then go back to full lock the original way and reverse again. Adjust Finally, move forward to line your car up, leaving an equal amount of space front and back. Use the passenger door mirror to check that you are parallel to the kerb and not too far out.With practice and patience, parallel parking should soon become second nature. With practice and patience, parallel parking should soon become second nature.